Continue reading for more information on the ELAN S3. 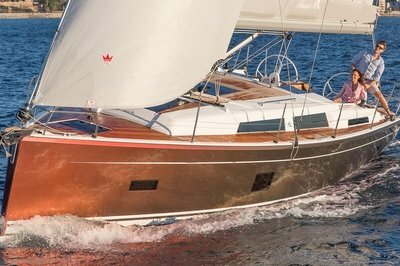 The hull is laminated with the latest VAIL (Vacuum assisted infusion lamination) technology in full vinylester including the skin coat to considerably improve strength, mechanical and chemical properties of the hull. Using the SVG gelcoat the Elan Team achieved an optimum chemical resistance against osmosis. The hull is built in sandwich construction using multi directional Fibreglass, structural closed cell foam core and single skin on loaded areas. 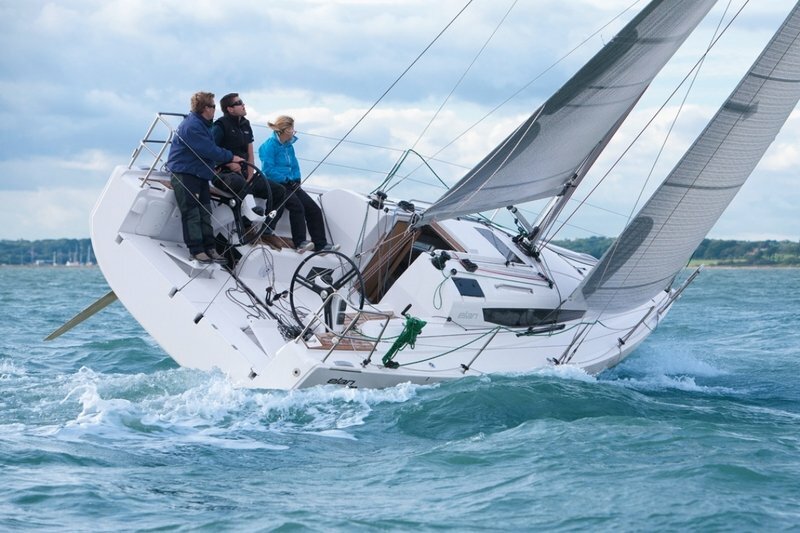 The powerful inner structure distributes all loads from the keel and rig effectively with a minimum flexing of the hull. 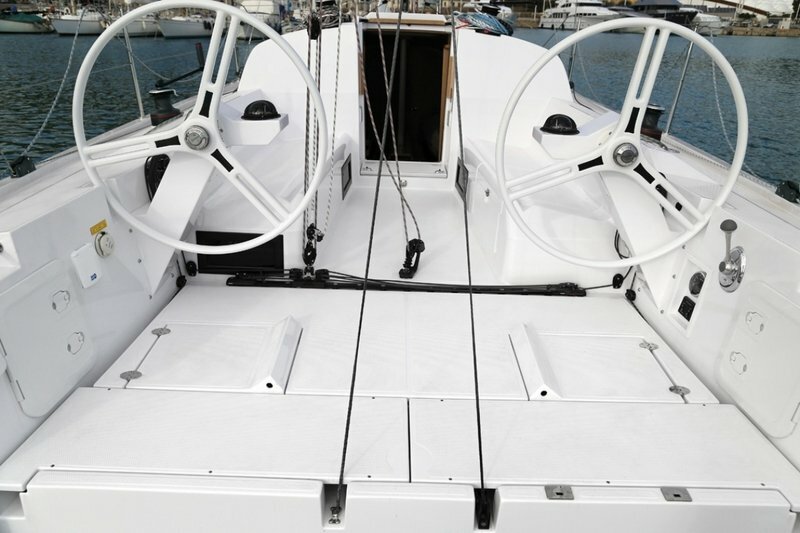 The deck is also built in full vinylester, laminated with VAIL (Vacuum assisted infusion lamination) technology and sandwich construction using closed cell foam core to assure thermal and sound isolation. Lightweight interior furniture is built with a combination of Light Oak Fineline veneered plywood with a foam core and Occume lighter weight plywood used in low wear areas. 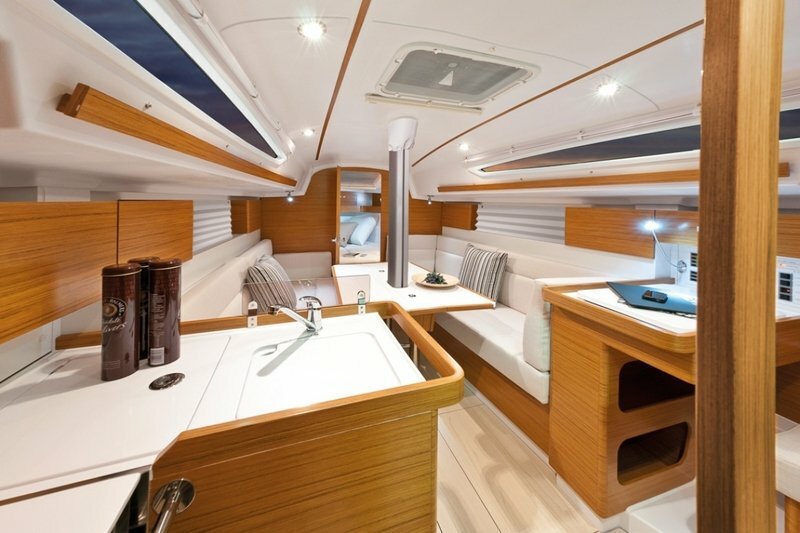 To ensure the optimum stiffness of the hull the main bulkhead is built in sandwich using composite materials.